NYC, The Roses are coming, the roses are coming! NYC beware, Valentine’s Day is coming up. Soon, roses in NYC will number in the millions. Starbright Floral Design, is keenly aware of how roses in NYC are an integral part of Valentine’s Day floral gift giving. 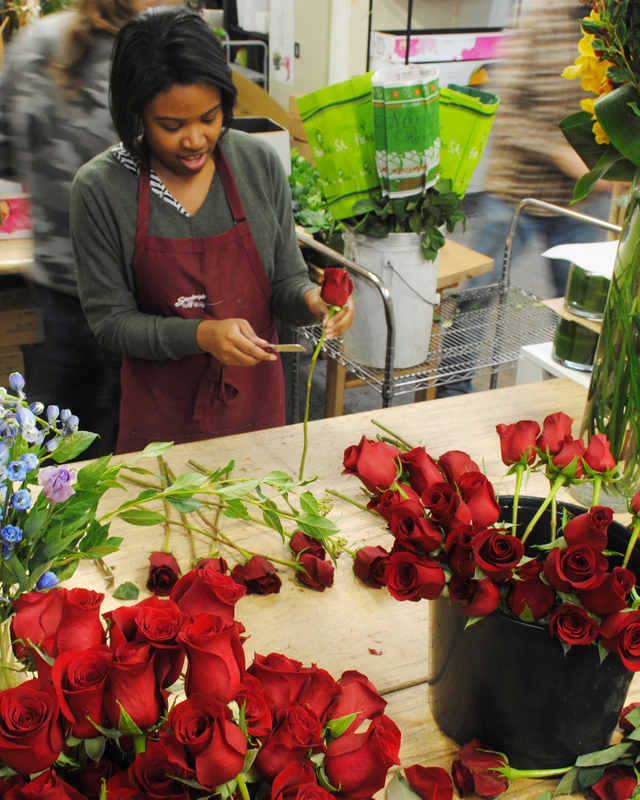 In fact, Valentine’s Day flowers in NYC and red roses in NYC are synonymous to many New Yorkers. Therefore we thought it’d be a good time to go over some rose history and get to know how some deep rooted traditions sprang up around these flowers that has NYC oh-ing and ah-ing come Valentine’s Day. the appeal of red roses is pretty obvious to us! Roses are one of humanity’s oldest commodity goods. There are two main families of rose – Mediterranean and Oriental. The Mediterranean rose was extensively harvested by societies in Ancient Egypt, Ancient Rome and the Greek City States. In general, the ancient world used the rose as decoration – in addition to a lovely visual, a rose also offers a strong fragrance, so it makes sense that the bloom would be adopted early as a go-to cultivar. With the fall of the Roman Empire we would expect to see a fall of the rose – and in a sense, we sort of do. At this point in human history, monks and their monasteries are popping up to hold on to/pass-on the ancient world’s medicinal secrets – and the rose has a starring role. Rose oil, pressed from rose hips, has curative properties that ease many stomach concerns, and also help manage blood pressure. NOTE: YOU ARE NOT A MEDIEVAL MONK – IF YOU NEED MEDICAL ADVICE, YOU SHOULD SEE YOUR DOCTOR, NOT READ OUR BLOG! WE DO NOT SUGGEST YOU ACTUALLY TAKE ROSE HIP OIL WITHOUT CONSULTING YOUR PHYSICIAN. This is very, very lucky for the rose – as Europe transitioned out of the Dark Ages and into the Medieval era, monasteries became the nodes that the rest of society would rebuild around. Think about it – you’re a merchant, your country has just about seen the last of the bubonic plague, and it’s time to go consolidate populations a little bit like ya do, when over half of the population gets wiped out by the plague. Where are you going to go? You’re probably going to set up near one of those medicine- and beer- and cheese-producing monasteries, because medicine, beer and cheese are all necessary things. This is where you’re going to get your flowers, too – and that’s where the rose comes in. Roses are one of the prime commodity goods exchanged by upper-class European citizens from about 500CE-1875CE. They have utility (medicine), they are relatively hardy, and most importantly they can be endlessly hybridized. When you’re looking at a commodity’s value, what’s happening is you’re evaluating the average cost of that good in the market, in comparison to the quality of the good in front of you. With rose plants, you need to keep in mind that while the rose originally comes from warm climates, most of Europe is cold. Many hybrids make the plant hardier or longer-blooming, or maybe they’ll bloom more times per year, or maybe the hips are big enough that a short grow season isn’t awful, or…Roses are an interesting commodity. Today there are lots of varieties and lots of colors and even a lot of shapes and sizes. The rose’s history as a commodity good is not dissimilar to that of an engagement ring. Both goods were originally given to help provide an economic foundation in times of extreme stress. With an engagement ring, for example, it was understood that the provider in the marriage might die. In that event, the ring could be sold and a new living situation could be arranged. Roses, too, are high-value gifts – although in the modern era, we cut our flowers, so this symbolism has been obscured by all the other romance of the occasion. Extravagance for extravagance’s sake never hurt anybody! So why are we bringing all of this to your attention? Nic Faitos, the founder of Starbright, has given us permission to clue you in, dear reader – the roses are going to be cheaper if you order them before January 20th. Roses are an “inelastic commodity” – there are only going to be as many roses available for purchase on February 14th as there were grown, picked and shipped by February 13th, and no matter what the vast majority of consumers will be after some roses. In this scenario – “there’s a rush on a thing who’s quantity is finite” – the single best move you can make is to get in early, so you can maximize your dollar’s value. Right now, roses in NYC within e-commerce websites are being sold without regard to the inevitable demand driven cost increases. 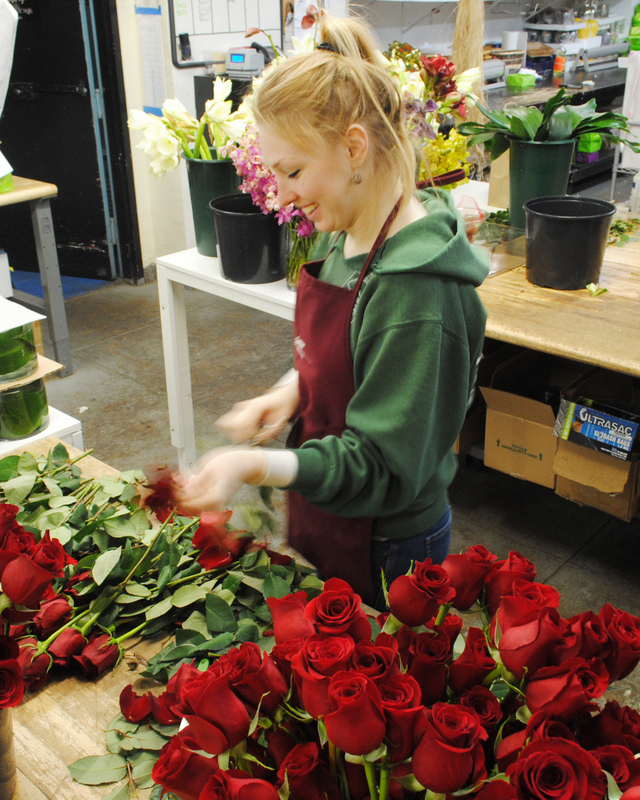 The skyrocketing wholesale cost of the roses have a corresponding effect on consumer prices. So if you have a special person you’re planning to send long stemmed red roses in NYC for this upcoming Valentine’s Day, placing an order with Starbright sooner rather than later can help you stretch your resources.